No, you don't have to drop $300+ for Bose QuietComforts to get premium ANC. 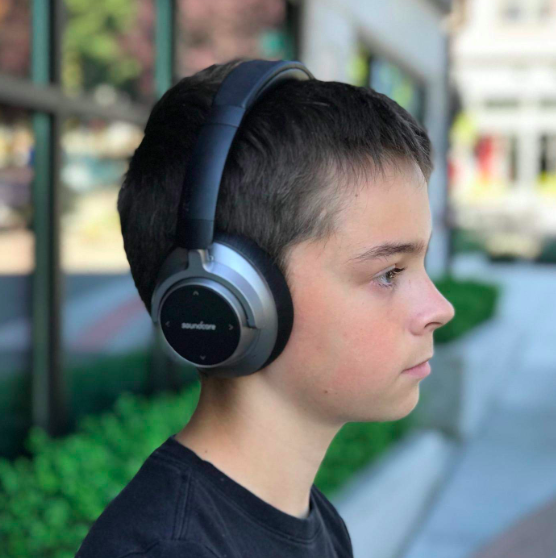 If you, like me, get chills thinking about being forced to listen to someone's conversation about bitcoin on the subway or can be easily distracted by the sound of a coworker's raucous laughter when on deadline, it might be time to arm yourself with some active noise-cancelling (ANC) headphones — specifically, a pair of Anker's game-changing budget cans, the Soundcore Spaces. Editor's note: Active noise cancellation, as opposed to passive noise isolation (found in headphones like the Beats Solo3s), blocks out ambient noise through a built-in mechanism. At just under $100, the Soundcore Spaces prove you don't have to drop an outrageous amount of cash to get quality ANC. The Soundcore Space headphones are Anker’s first ANC model, and you’d almost never know it from its mastery of this technology. Over the years, Anker has attracted a steady fanbase with its catalog of budget-friendly gadgets (a compact portable charger and a 3-foot lightning cable being two of its most popular buys). I'm happy to report that the SS marks yet another victory for Anker — and (to get right to the point here) for your wallet. Finding a solid pair of noise-cancelling headphones for under $100 is no easy task! We know this because we tried out several pairs in this price category — the TaoTronics TT-BH22US, CB3 Hush, and Audio-Technica ATH-ANC, to name a few — and weren’t wowed by any of our options. That is, until these landed in front of us. According to Anker, these headphones block out up to 96% of high-frequency sounds (like human voices) and 93% of low-frequency noise (think: a subway rumbling underneath you or the murmur of an AC unit). While these percentages are difficult to confirm, we can, anecdotally, vouch for the vast improvement these headphones made on busy sidewalks and on public transport. Their overall sound quality, our in-house testers agreed, was also good — if not excellent — for this price category. Midrange and high frequencies — the ranges where central melodies and vocals fall — were impressively clear, while the bass hardly overwhelmed the listening experience. Audiophiles may wax poetic about the Bose QuietComfort 35 II (our current $$$ pick on BuzzFeed Reviews for best wireless headphones), but if you’re like most people — a casual and thrifty music listener — you’d be hard-pressed to find a pair of ANC headphones under $100 that checks as many boxes as these do. That said, it doesn’t matter how good ANC is if your ears are left bleeding after 30 minutes of use. That’s why you’ll be relieved to learn you can confidently check the “comfort” box with these. Really. You won't want to tear these things off your face after 30 minutes of use like so many over-ear headphones; on the contrary, you'll probably forget they're even on. The bottom line is this: Anker’s Soundcore Space headphones would make excellent commuter headphones, given their ease of wear, and are perfect for the casual listener. Anker is only just starting to dip its toes into the ANC space, and we’re excited to see what the brand has up its sleeve for budget models to come. Still need more proof that the Soundcore Space is worth your $100? 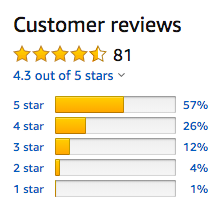 Let's check in with what Amazon reviewers have to say. And check out our picks for best over-ear Bluetooth headphone on BuzzFeed Reviews!